When Pokémon Omega Ruby and Alpha Sapphire were announced, we were all waiting to see what Game Freak would bring to the table. The titles marked the first re-makes of any Pokémon game on the Nintendo 3DS. As someone who has religiously bought every Pokémon game there ever was since I was knee high, my eyes were brimming with tears at this point. Since the first-generation Pokémon games back in 1996, the series has moved from strength to strength, delighting the young and old alike, and becoming one of the most successful, longest running RPGs to date. On the whole, the series has benefited greatly from sticking to the simple familiar gameplay mechanics fans know and love, and being relatable to people with a recognizable, albeit repetitive, story structure. This Pokémon nostalgia is fed every year, when a new game is released, but Game Freak–keeping with the times–adds exciting perks and new features to refresh the series and keep us all interested. Last year, the success of Pokémon X and Y was a high mark for the series, so Game Freak had a tough job on their hands. When the trailers, screenshots and snippets of what was to come for ORAS began trickling out, I could hardly contain my excitement as I got a glimpse of the beautiful 3D visuals, new mega evolutions, and an updated battle system. 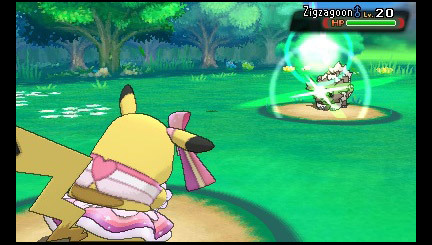 On the surface, the ORAS games appeared to be very similar aesthetically to Pokémon X and Y–almost looking like part 2 of the game, instead of completely new remakes. 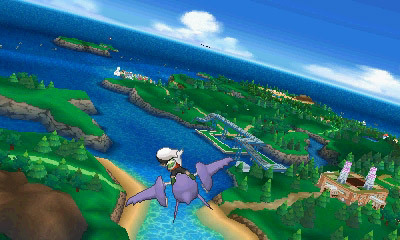 Some of the features of ORAS were present in the X and Y games, for example the Player Search System, Super Training and Pokémon Amie, which all operate in the same way they did in X and Y. 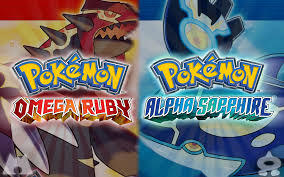 Just as in the classic versions of these Pokémon games, you choose to play as either a boy or a girl and start your journey with a starter Pokémon. 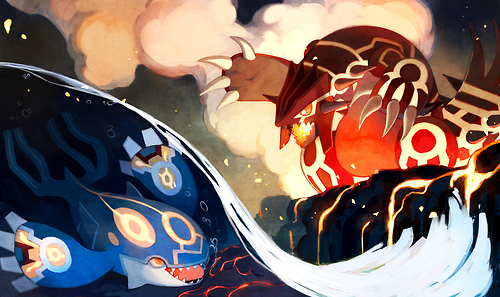 There is, of course, a distinct set of villainous teams in ORAS: Team Magma and Team Aqua. You will have to battle your way through lots of grunts, as usual, though their Pokémon are nothing to stock up on super potions for. 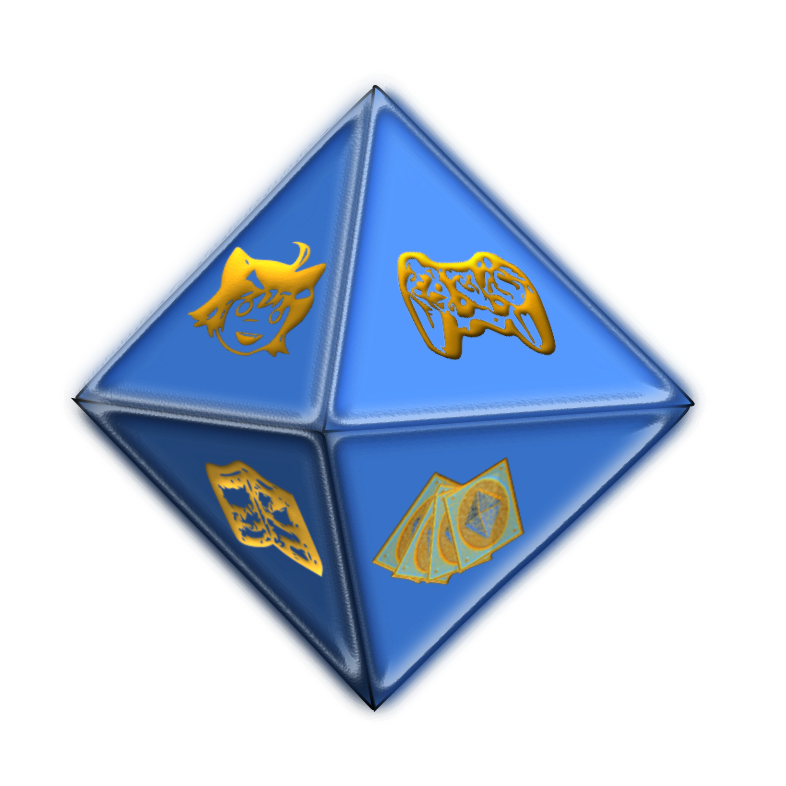 One application new to the game was the Dex Nav, a radar tool which enable you to catch the more uncommon, rarer monsters. To me, this radar was a true gem, and one of the best features of the game. The radar allows you to see the shadow of a Pokémon in the overworld whenever you’re near tall grass, and then you must slowly creep up to it by tilting the analog stick slightly. This element worked brilliantly, and made finding and catching wild Pokémon more visceral. It was a challenge for me to stealth using the analogue at first, but I soon got the hang of it. The experience of battling and catching wild Pokémon became a ton more fun and was better than the random encounters you’d normally have in the grass. Plus, if you are lucky enough to catch Pokémon using this method you’ll find that they may have higher levels and feature moves that they wouldn’t normally have. For players that usually breed Pokémon for specific natures or abilities, the Dex Nav is useful as it allows you to easily find Pokemon with hidden abilities. It’s not just the in-game perks that made this game a satisfying play; Pokemon ORAS received a drastic make-over, but the focus is on making Hoenn look real as opposed to the approach for X and Y–making them charming or pretty. I found the small touches very welcome and enjoyed seeing schools of luvdisc swarm by when I dove undersea, or a flock of wingull scatter in different directions, when I walked near them. The trainers in the game also appeared to have been oiled a little, and they now turn their heads now to look at you, whereas before they would stand to attention like statues. I found this a tad creepy, but it really emphasized the realistic feel the creators were going for. In Pokemon ORAS the visuals are very vibrant, and positive, with the world of Hoenn having more diverse habitats, and brighter, sunnier hues than Pokemon X and Y. However I did enjoy the cosmopolitan Poke-France of X and Y and the modern consistent world of Kalos I became a part of. I found myself at times wishing that there would be a Luminose style city in all its shopping mall glory waiting for me somewhere but instead I had to make do with the slightly archaic Mauville city. Even without a more realistic Poke-France map layout, I did appreciate the more natural classic Pokémon world of Hoenn, with its lush forests, active volcanoes and sleepy towns. Pokémon ORAS did very well in capturing the nostalgia of the old games by re-visiting the innocent charm of the past, something that isn’t present for me in Pokémon X and Y. The soundtrack has had an update, with lots of old songs either remixed or changed completely; as always, the music is one of my favorite features of any Pokémon game. Although I do have some minor issues with the game–like the somewhat uninteresting cities–my experience wasn’t soured, nor did I find that the game lacked in anything fun or challenging. The adventure of exploring a world, and battling, capturing and raising Pokémon is still at the center of Pokemon ORAS, just as it is with every other game in the series. Overall, this game hit the proverbial spot with me, and although it was by no means perfect, it fulfilled its ultimate purpose, which is to entertain and submerge us in a fantasy world that I can only wish, really existed.